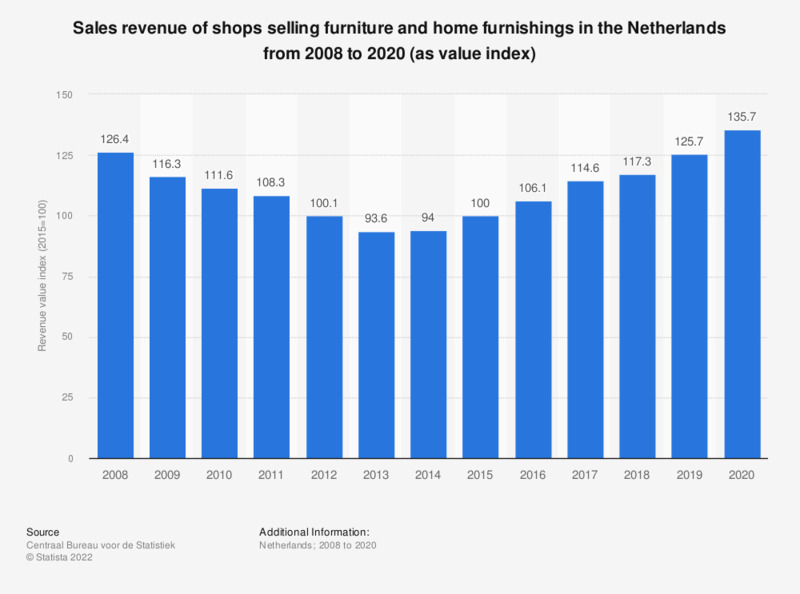 This statistic illustrates the trend in sales turnover of shops selling furniture and home furnishings in the Netherlands annually from 2007 to 2017. Turnover of Dutch furniture and home furnishing stores showed a gradual decline between 2008 and 2013. After 2013, an increase is visible again. In 2017, the value index of shops selling furniture and home furnishings was 105. Shops for furniture, home furnishings include the following categories: "4759.1 shops selling furniture. 4759.3 shops selling various home furnishings." Indices: "An index compares the value of a variable (e.g. turnover) in a certain period with the value of the same variable in the base period. The index of this base period is 100." U.S. population: Which kinds of furniture polish do you use most often?